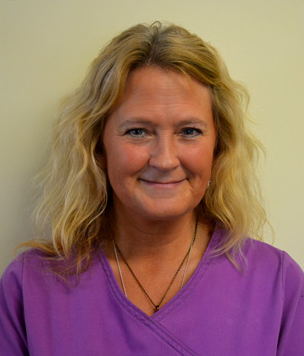 Over the years, Charisse has worked her way from kennel helper, to veterinary assistant, receptionist, and now assistant office manager. 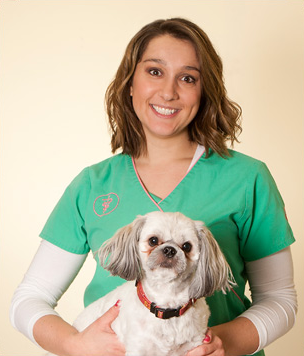 She has earned her associate's degree in Veterinary Science and started with Corfu Veterinary Clinic in November of 2003. "I love the family atmosphere that this clinic offers not only for its employees but also the clients, and being part of an awesome management team that helps to come up with new and innovative ideas for patient care," she says. As an expert multi-tasker, Charisse handles client relations and education, as well as financial counseling with our valued clients, and assists our team of technicians and veterinarians. Outside of work, Charisse spends her free time hiking, gardening and cooking. A newlywed, she and her husband also like to vacation whenever they have the chance. For receptionist Michelle, the best part of the work day is when she is able to reassure nervous pet parents that their furry companions are in good hands. "We have the pet's best interest at heart," she says. "We're always finding ways to improve through better medicine and patient/client relationships." 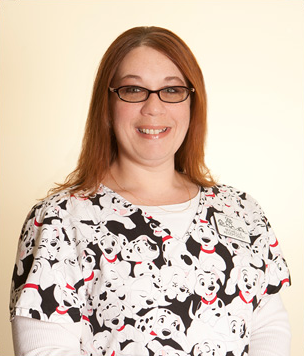 Michelle joined our team in November of 2012 with seven years of experience working at another animal hospital. At home, Michelle has a chocolate lab named Mocha. She exercises every day and spends her spare time curled up with a good book, baking with her daughter, or camping with her family. Corfu Veterinary Clinic's country setting and the fact that she gets to see new puppy faces from time to time are just added benefits of the job for receptionist Amber. "The staff and clients make working here great," she says. "My co-workers are like family." Amber has been with us since August of 2007 and holds an associate's degree in Business Entrepreneurship. In her personal life, she enjoys fishing, kayaking, camping and vacationing. She has a Great Dane named Bishop, a German Shepherd-Rottweiler mix named Nora, and a cat named Mowgli. 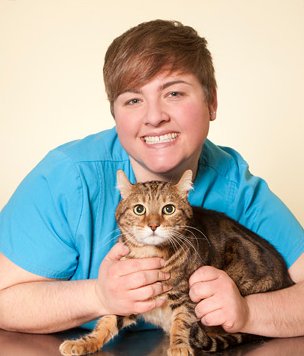 Shannon joined the Corfu Veterinary Clinic team in September of 2006. Since she was a young teenager she has worked on and off in the animal care field. Her prior experience includes working as both a horse wrangler and a horse barn manager. With a bachelor's degree in Biblical Christian Counseling, it's no surprise that Shannon truly cares about our patients and their owners. "I love to help people," she says. "If I can give a hug when it's needed or make someone laugh then I have served my purpose. Here, we deal with so many highs and lows all day long and if I can make a transition in a client's life smoother then I can't wait to help." At home, Shannon has a dog, three geriatric horses, and five cats named Silver, Smurf, Shylow, Sophie and Shmarsh Shmellow. Shannon keeps busy with her two children, Emery and Elise, and is very involved in their extracurricular activities. Her hobbies include reading, being outdoors, hiking, horseback riding, gardening and learning how to quilt. Pamela became a receptionist at Corfu Veterinary Clinic in October 2016, where she brings degrees in both business administration and social work. Her job responsibilities include checking clients in and out, filing, answering phones and cleaning. 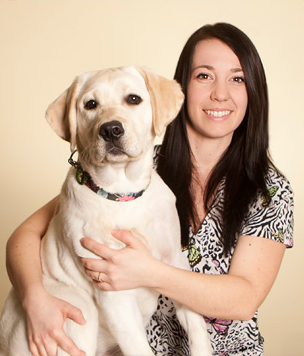 Pamela's favorite part of the job is helping clients and their pets have a comfortable, relaxed experience. "The staff at the hospital are the greatest bunch of people," Pamela says. "They are compassionate and hard-working, and the teamwork is incredible. They care about the clients and their pet's welfare beyond measure." At home, Pamela has a 4-year-old German shorthair pointer named Bristol, a 9-year-old cat named Junebug and an 11-year-old cat named Noodle. Pamela and her daughter have been involved with the nearby 4-H program for the past 11 years where they show horses. She enjoys spending time with her two children, Madeline and Chase. Pamela also enjoys gardening, camping, traveling, watching movies and canoeing. 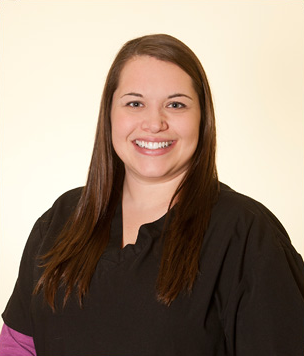 Lindsey joined our team in October of 2013 with more than 10 years of experience in an animal-related field. She began working with horses at a very young age and now manages a 14-horse boarding facility, gives riding lessons, trains horses, and competes in shows and 4-H.
At Corfu Veterinary Clinic, Lindsey provides client education and relations, manages the appointment schedule and offers knowledge on animal husbandry. "I love when I get to be with the animals and interact with them!" she says. "I love most of all the standard of care this clinic puts into each and every patient." Lindsey's hobbies center around anything horse and animal-related, camping, reading, being outdoors, and spending time with her boyfriend, their two girls, family, and friends. She has two black labs (Leena and Dax), a yellow lab (Lakota), and two horses (Move Me To The Front "Butch" and Mr. Mito Dancer "Mito").